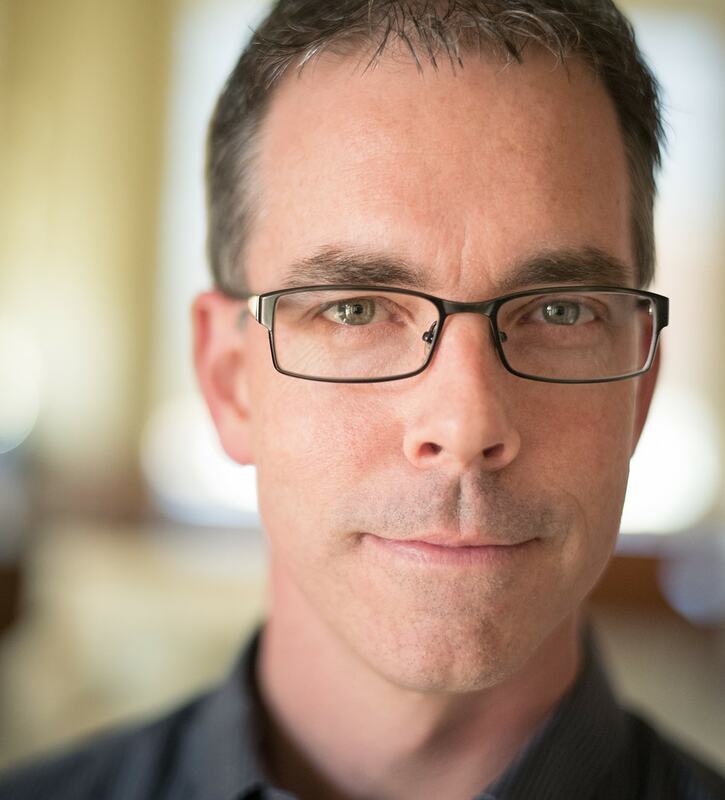 Industrial Light & Magic (ILM), announced today respected vfx veteran Rob Bredow has been appointed Senior VP, Executive Creative Director and head of ILM. Bredow is in charge of all of ILM’s four global studios and reports to Lucasfilm General Manager Lynwen Brennan. In addition, it was announced that Gretchen Libby, has been promoted to vice president, marketing & production and Libby will report to Bredow. Bredow joined ILM as a visual effects supervisor in 2014 and was then named vice president of new media and head of Lucasfilm’s Advanced Development Group. Bredow was instrumental in launching a new division, ILMxLAB, in 2015, to develop, create, and release story-based immersive entertainment. 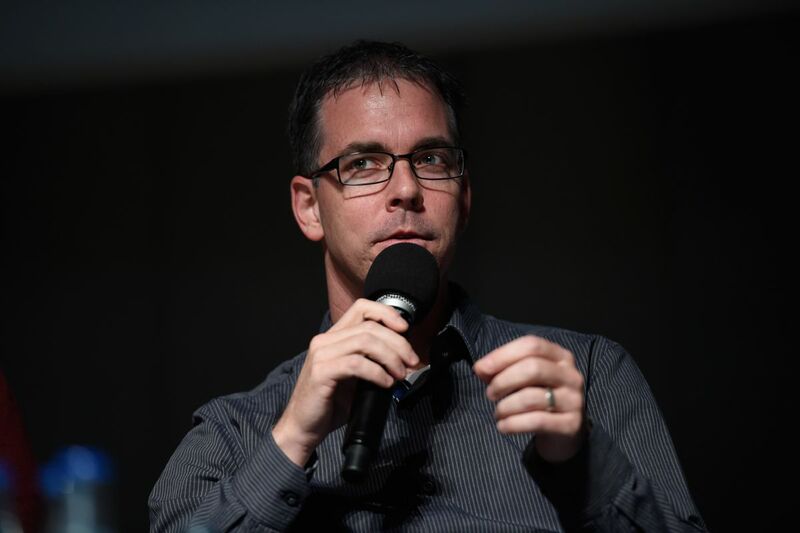 In 2016, Bredow was promoted to CTO of Lucasfilm, overseeing technical operations and partnerships as well as the company’s technology roadmap. Currently, Bredow is serving as the VFX supervisor and co-producer on Solo: A Star Wars Story directed by Ron Howard, which releases on May 25. We sat down with Rob to discuss his new role and get his perspective on the challenges faced by ILM and the industry at large. We started by looking at the structure of ILM, - given it has such a wealth of senior visual effects artists and now over 2000 employees spread over four primary locations: San Francisco, London, Vancouver and Singapore. 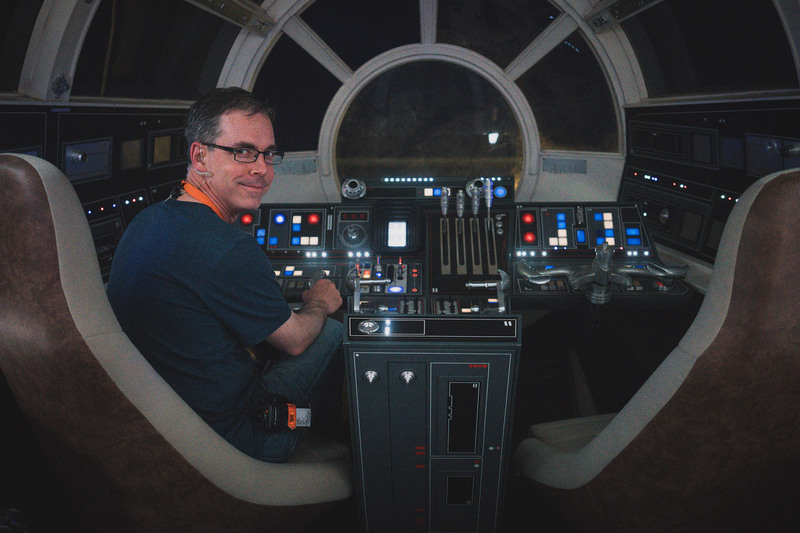 ILM's Rob Bredow. Photo by Reiner Pfisterer. FXG: What is the structure of ILM? RB: There are four creative directors, one at each of our studios. Our Chief Creative Officer is one of those four, John Knoll. He is located here in San Francisco. We also have here in San Francisco other key people such as Dennis Murren. He is part of our senior creative supervision team, along with senior world class supervisors such as Scott Farrar, Roger Guyett and others. We have a creative director in each of our studios, Jeff (White) in Vancouver, Ben (Morris) in London and Nigel (Sumner) in Singapore. All those creative directors report to me, although it is more of a partnership than me being in charge. There are also key supervisors such as Ben Snow who is based in San Francisco, currently focused on xLab projects. FXG: So you are effectively a fifth creative director, but also the Executive Creative Director? RB: Yes, that's correct. The title "creative director" leads with the word creative as that is what we bring to the shows. A lot of the time this is why ILM ends up on a show, we are able to be an early assistant to the director and the filmmakers. The role of the creative directors is sometimes stepping in and supervising on really complex sequences or being teamed up with certain directors who they have worked with in the past, and who are really looking for that very senior level of leadership. It is also to guide all of the shows to make sure the quality of the work is top notch. For example, when I was working on Solo, we would have a meeting every two to three weeks when we would bring in the creative brain trust and look at the work. This team of creative directors and senior visual effects supervisors would review the work in progress, give ideas for the story, comment on the action beats, coverage and things we could still influence on the film from both a storytelling perspective and from the point of view of delivering top quality visual effects. FXG: Your new role of Executive Creative Director sounds like it is a bit more focused on the business and the company, than supervising a film such as Solo, which you have just completed? RB: That is true but I should point out the other Creative Directors certainly participate in the running of the company, but yes I am a bit more focused on the company. In terms of main focus, our Creative Directors and Supervisors are all focused on the quality and execution of a given project. The difference being that the Creative Directors might be overseeing multiple shows at a time. When the buck stops, I am responsible for the creative side of the business and the direction of the business and our future. FXG: What is officially included in 'ILM'? For example, is xLab a part or is that separate? RB: ILM includes all we do in visual effects and all we do in immersive entertainment. ILM as an entity reports into Lucasfilm. It is just like Skywalker Sound, it is part of Lucasfilm. FXG: You were CTO of ILM. Is that a role you are handing off or are you still CTO of ILM? RB: Yes, all the people that reported to me in the CTO role, still reports to me. We don't have anything to announce on the technology leadership side. I expect in the future that might change, but for now, I am very lucky to have Gretchen Libby, who is now VP of Production and Marketing. She is an expert on production and that is her background. I am focused on creative and technology. So I can keep the technology for now, and we'll develop that more in the future. Fortunately we have some of the best producers in the world. Especially with the global operations and our various partnerships, it is a very complicated operation and I am very glad to have that team who can handle that so well. FXG: What is your agenda for ILM looking forward? RB: When you look at ILM's history and how it has re-invented itself, and frankly how the company has helped re-invent the industry several times over, I feel like I am stepping in when ILM is getting to do that again. Of course, there are big challenges in visual effects but also there are huge opportunities for the future and how visual effects are going to get done. When we look back we see, the first use of computer motion control in Star Wars, or the very first use of Go-motion and of course the introduction of CG disrupting everything, with the dinosaurs of Jurassic Park. Today we are at a point where a lot more things are possible and it is really the creative that drives film makers to choose ILM and partner with us. We have this deep bench of incredible talent and so while today we are really focused on the film part of the business, and the immersive part of the business with xLab, we also have this incredible opportunity with real time and a few other things (we are not quite ready to talk about), that will all change the landscape of film making and change our industry in the next few years. FXG: With your CTO hat on, what is your perspective on AI solutions in VFX, is it hype or will these change how we work? RB: I think it is going to be a disruptive change from what we are used to. We may see AI take our existing workflow and make it 10% or 20% more efficient. But I think what is more likely to happen is that these kind of non-prescriptive algorithms that are trained for the kind of output you are looking for, will very much have the chance to disrupt the way we are going to be approaching problems. Rob having fun on the set of Solo. A Star Wars Story. FXG: What is your planning horizon? People talk about 5 to 10 years but that is pretty far out given how quickly things move? RB: It is pretty funny, there is a lot of desire to have a sense of clarity for where technology is going for the next 5 years. But in terms of guessing what will happen when, really anything more than 3 years into the future is only 'directional'. You can say we are going to be doing a lot more with real time or we are going to be doing a lot more with AI but in terms of the actual implementation and the crewing of shows - that landscape is changing every couple of months. You need to be set up to be as light as possible and adoptive to change, as the technology moves so quickly. FXG: Does that make xLab both a play in immersive media and a playground to experiment and stay in front of these new technologies? RB: That's right, our Advanced Development Group is built for just that. FXG: What is the relationship between the Advanced Development Group and xLab? RB: The Advanced Development Group is a very tightly integrated component of xLab although it also works on things aren't directly related to xLab. For example, the Advanced Development Group is tasked with focusing on real time in all our workflows across the whole company. It is heavily influenced by xLab, about 80% of the time, with work that is directly relevant to xLab. But there is some aspects which are driven by say Virtual Production and other non xLab projects. FXG: Where does ILM's relationship with Stanford University and their work with PhysBam, come into this? RB: For a lot of years we have been really successful with that relationship, which is driven out of ILM's R&D team. The R&D team are a rich source of innovation and they are now located not only in San Francisco but also in our other ILM studios. FXG: Are you looking to repeat that Stanford University relationship with other universities closer to those other offices? RB: Not at the scale we have with Stanford, but we are continuing to look for those other partners. Our relationship with Stanford is great and fairly unique. We also acknowledge it takes a lot of investment from both side for a relationship like that to work. 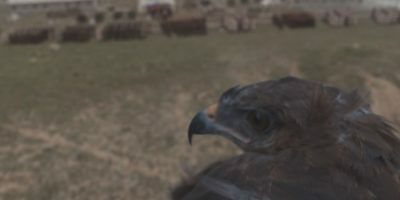 Below is an interview we did a couple of years ago regarding xLab, founded by the Advanced development group, working on how realtime graphics can affect the film making process: See our whole story here. FXG: For years you have personally promoted Open Source, I assume that commitment remains? RG: Yes for both ILM, and me personally. We are committed to continuing to be big contributors to open source. We are very much committed to that. For example, we are promoting MaterialX and we will be helping with a Birds of Feather (BOF) meeting at SIGGRAPH 2018. FXG: You have been involved with a lot of Open Source initiatives, such as Alembic and OSL etc. Could you comment on rigging? It is one area without really any open source standards and often has no interchange of rigging assets between facilities on shared projects? Will that ever change? RB: It is not impossible to see a time when that may change. My opinion on when that might be, is only when some big percentage of that innovation space has run out. This is what we saw with the last wave of Open Source projects. We saw Open Source happen when a bunch of spaces were quite mature. For example, Open Source Shading Languages. Everyone could see that the previous generation of shaders had run their course and pretty much everyone knew what the new shading language needed to look like. Which meant it was a great time to come in and offer a new de facto standard in the form of OSL. Another example is image formats and OpenEXR. The innovation had mostly being rung out. In rigging, we do have standardization of ILMs tools in say Blockparty, which is very efficient and good at making characters. However, we are still making real headway in terms of subtle facial work, making them more realistic, improving algorithms for animators, and say improvements on set with capture. There is still a lot of innovation in how we make characters and while that is the situation, standardization tends to not be a priority. There may be a time when that changes but for now there is a lot of innovation in that space. FXG: Is ILM in a period of growth or consolidation? RB: It is in a period of growth. We have had, for the last few years, the position of not quite having the capacity to meet all of our needs. We have solved that by growing and by partnering with third party companies. Fortunately, there is a lot of demand out there and as we wrap up all our summer shows, we are examining how to manage a large number of new shows next year. We are not in a position of having to wind anything down. RG: Happy to talk, thanks. “I am thrilled that Rob is going to be leading ILM into the future. He is the perfect fit for the role combining creativity, innovation and business savvy”, says Lynwen Brennan, Lucasfilm general manager. 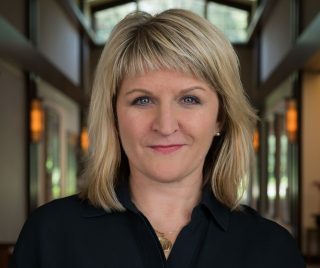 Brennan oversees all operational matters for Lucasfilm, ILM, and Skywalker Sound, as well as the development and execution of Lucasfilm's business strategy and implementation of the company vision. As mentioned Gretchen Libby has been promoted to Vice President, Marketing & Production. Libby is responsible for overseeing global production management for ILM. This involves client marketing strategy and bidding activities, as well as driving the production process including global capacity management, tax incentives, and talent strategy to ensure ILM meets its clients’ needs in a cost effective manner while putting creativity and excellence first. Libby joined ILM in 1997 as the Sabre (Flame/compositing) department production manager. The following year, Libby moved to ILM’s feature production department as an associate producer on The Perfect Storm. She was promoted to visual effects producer in June 2000 on Star Wars: Episode II Attack of the Clones. Libby served as visual effects producer on several films before being promoted to executive producer, where she oversaw such films as Iron Man, Avatar, and Jurassic World. Prior to ILM, Libby worked in visual effects film production at Pacific Data Images in Palo Alto, California. We will be talking to Rob Bredow again soon, as part of our coverage of Solo A Star Wars Story, later this month.